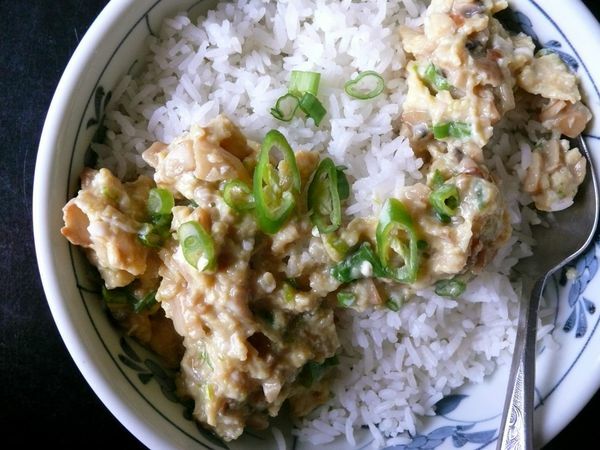 Rather than having warm toast on standby for the second these eggs are done, you’ll want to have hot and freshly-cooked rice ready. 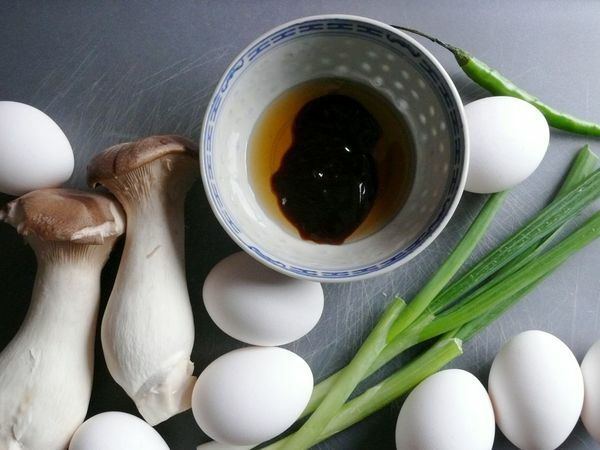 Though, these eggs are so creamy they can be served as a thick sauce on soft soba noodles. I’ve meant to try these on steaming hot, plain congee too. The king mushrooms give the eggs the little chew they need, but I picked them specifically because I find they get sweet when they brown. If that sounds weird–sweet + eggs—the soy sauce and sesame oil balance things out, and the result is quite satisfying for something so simple. 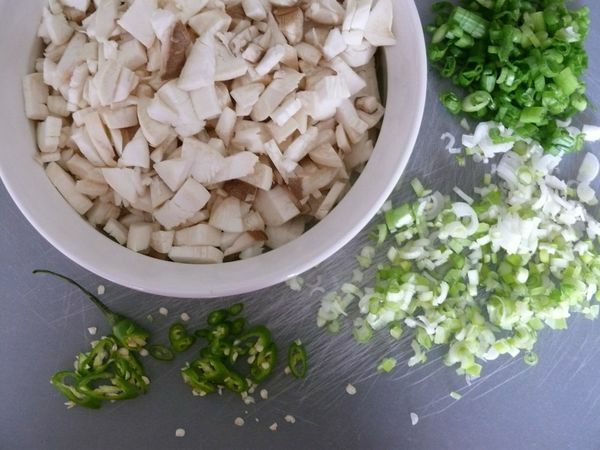 Equally appealing: we’re talking about 10 minutes of hands-on cooking time if your rice is already made. I make this for dinner but leftovers are fantastic for breakfast, reheated right on rice or rice noodles in a steamer. Either time, I recommend a slick of chili oil over top (yes, even with the fresh chili slices), and a lot of Jasmine tea to sip on the side. eggs! how do i love thee?